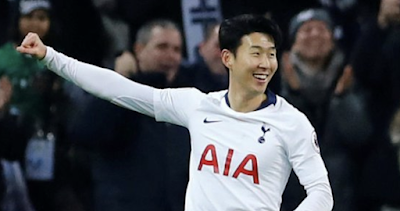 The whole world knows about Son Heung-min and how good he has been in the Premier League for Spurs, but a lot of people have said he has struggled to replicate that form for South Korea. Though he has failed to reach the same levels for Korea as he has for Spurs he remains Korea’s biggest attacking threat. Therefore he should be utilized as such, the ball should go to or around him as much as possible to make sure he is constantly involved in the game. Korea needs to keep him involved as much as they can to have a chance of winning games, he isn’t a prolific striker by any means but he is by far the best chance of Korea doing something special. Other countries have used players who are wing strikers for their club as the central striker for the national team. One of the best examples of this is how Wales use Gareth Bale compared to how he was used at both Tottenham and now at Real Madrid. For Real Madrid he occupies a wide attack role, but for Wales, he is the main man and plays centre-forward, this helped Wales kick on and qualify for the Euros, and everyone knows what happened there with Wales reaching the Semi-Finals. There is no reason why Son could not fulfil the same role for Korea, he has occasionally played there when Harry Kane has been injured so it’s not like he can’t do it. If played as the main striker I think he would give Korea a lot more threat up top. Shin’s tactics have made Kim Shin-wook the main focal point of the attack, this is extremely mind-boggling, Kim Shin-wook is a decent player but compared to Son he is average at best. Son should play where Shin-wook is. With Son stuck out on the wing, it is easier for other teams to nullify the threat he possesses and also he has miles to run to get anywhere near the goal just as everyone seen in the game against Sweden. Shin would do well to note that it’s best to have your main guys down the spine of the team. He may like Shin-wook there because he is likely to play the number 9 position more naturally than Son. Shin-wook is as likely to float around as much, but Son floating around would be more useful than just pumping the ball at Shin-wook’s head constantly. Son’s movement could drag the defenders out of position and Korea’s other attackers could bomb into space and pop the ball into the net. If Shin persists with the same tactics that were employed in the first game then Korea hasn’t got a hope, you cannot rely on playing defensive football when the defence is the weakest part of your team. We saw that against the Swedes, there were times when the Korean defence was at sixes and sevens. Korea needs to move the ball quickly especially if they want to play counter-attacking football, with Son as the main attacker it has more chance to work by using his pace and skill than Shin-wook’s height advantage. In the end, if Shin has no balls to attack teams then Korea will go home with no points and no goals, and that is sad because Korea is nowhere near as bad as they suggested so far in that first match. A lot of your players wouldn’t be playing at clubs all over Europe if they were that terrible, now is the time to show what Korea is made of so it’s over to you Shin to show us all if you have massive balls or little tiny ones.